New Mark Set for Gold Winners at 2017 National Association of Container Distributors; Firm Also Takes Gold at North American Retail Hardware Association Awards. Berlin Packaging, the leading full-service supplier of plastic, glass, and metal containers and closures, today announced it received a record number of gold medals at the NACD (National Association of Container Distributors) 2017 Packaging Awards. Four of the company’s eight medals at the NACD competition this year were gold; in addition, Berlin received one gold and one silver medal at the NRHA (North American Retail Hardware Association) 2017 Packaging & Merchandising Awards, considered the top packaging honor in the retail hardware industry. Eden Mill (Gold, Beverage) wanted distinctive packaging when it launched its “Art of the Blend” whisky in 2016. The resulting custom-designed bottle includes small, pyramid-shaped embossments and a diamond-shaped labeling panel, achieving a striking look while still accommodating the intricate neck design and the unique labeling space. 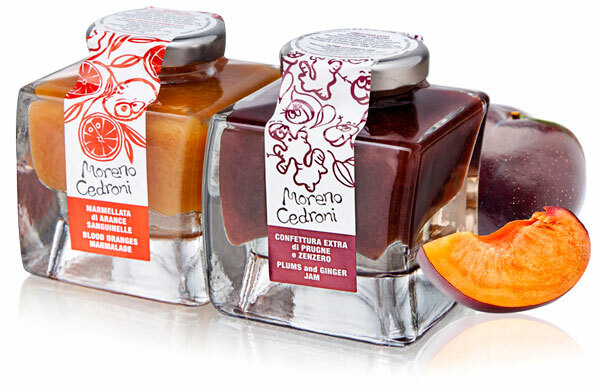 Moreno Cedroni Confezione (Gold, Food; Bronze, Best Use of Stock Components) is a beautiful line of fruit jams from one of Italy’s great culinary innovators. The interlocking, stackable, and wave-shaped glass jars, reminiscent of inkpots used by Italian writers of centuries past, are each sealed with a different overwrap in a color appropriate to the delicious treat inside. This package is available as a standard item from Berlin Packaging’s Bruni Glass division. Mylanta (Gold, Drug & Pharmaceuticals) successfully solved packaging challenges surrounding the re-introduction of the well-known liquid antacid after a multi-year hiatus. Updating Mylanta’s iconic bottle for a new era, the sleek, tapered redesign features ergonomic indents on the sides along with a new dosage cup with a debossed logo. Stihl MotoMix (Gold, General Industrial) took a new angle on the typical cylindrical can for its ethanol-free gas product for chainsaws, leaf blowers, and edge trimmers. The first-ever line of square cans in the premixed fuel category required several design innovations including a special laser welding process and an ergonomic handle. Bib & Tucker (Silver, Beverage) recently expanded its product line to include Bib & Tucker Small Batch White Whiskey and needed packaging to match its brand that represented old-fashioned, elite liquor. The design behind the embossed “peerless quality” and retro label reinforce the classic heritage that is integral to the brand. The heavy cork, secured with black twine to the neck of the bottle, encourages consumers to celebrate each glass poured. Morton Safe-T-Pet Ice Melt (Silver, Household, Chemical & Automotive) is a unique salt- and chloride-free product, formulated to melt sidewalk ice yet prevent harm to pets as they walk. The package includes an ergonomic pouring handle with enough room to fit a gloved hand, and the patented bottle and closure features a custom “snap-on/twist-off” neck finish allowing consumers to refill the jug for repeated use. Robert Rothschild (Silver, Food) wanted to resonate with a new, younger demographic and individuals that prioritize maintaining a healthy lifestyle, while not alienating the brand’s existing consumers. To achieve this goal, the distinct hexagonal shape of the outgoing jar was applied to the new design. A small, repeating hexagon embossment houses a Rothschild “R” on each of the six sides to elevate the brand. Morton Safe-T-Pet Ice Melt (Gold), also a gold winner at the NACD awards, uses angled geometries to provide a contemporary look. The package’s most innovative feature is the flip-top closure that opens with one hand for pouring, then seals tightly with a snap. Roto-Rooter Preventive Pipe Shield Maintenance Treatment (Silver) is a custom improvement on the industry-standard “F-Style” pour bottle. Roto-Rooter’s drain care product packaging offers a host of ergonomic advantages including a proprietary dosage cup that fits seamlessly on the neck. The angled design of the cup makes it easy to pour the measured product into a drain, and snaps in place on the bottle for reliable storage.